With so many moving parts building a new home seems so overwhelming, but lets face it, you've been looking forever and existing homes just don't have what you want in your new home. By the time you add up all the hassle, time and money it will take to remodel, building new sounds pretty good, but where do you even start? 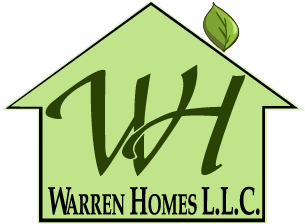 At Warren Homes, LLC we are your one-stop-shop. From Draftsman and Design Coordinators to Personalized Process Managers, our team walks you through every step from concept to closing. With a passion for innovation and years of industry knowledge we have developed turn key systems that completely remove all stress and confusion leaving you to enjoy the creativity and excitement that building a new home should always be. We partner exclusively with locally established contractors, suppliers, and lenders to cover every angle of the new home building process so that your every need is met and your expectations are exceeded. Whether you're looking to move up or settle down, never settle for less than exactly what you want. Come meet our team today and let us turn your new home from day dream into dream come true! Having built several homes ourselves we knew exactly what we were looking for in a home, we just needed to find a builder we could trust. After meeting with Joe Warren at Warren Homes, we looked no further. We were blown away with his creativity and vast industry knowledge. We were impressed with the quality of the home and the fact we could even have the basement finished within our price range. We love the kitchen! Over the past thirty years we have had four custom homes built for us in Derby and each time we have turned to the professionals at Warren Homes. Their customer service is always excellent and they really listen to what we want in our home. Dear Joe and Curt, just wanted to let you know how much we’re still lovin’ the home Warren Homes built for us! (Can you believe its been over five years ago?!) Thanks and God Bless! Warren Homes, LLC made building our first new home an incredibly exciting and rewarding experience. The level of customer service is simply phenomenal. Everyone involved, from the staff to the design team acted as if it were their own home. Even months after we moved in the Warren Homes team is incredibly responsive and helpful. We highly recommend to anyone that they build with Warren Homes. We knew going in that we wanted a lot and had a strict budget. The Warren Homes team were able to completely customize a design that fit every need of our family, allowed for all the features and amenities we desired and kept our budget every step of the way. We couldn’t be happier with the service we’ve received and love entertaining in our wonderful new home. Universal Craftsmanship for every walk of life.